Title: Big brother instructs sibling on surfing. 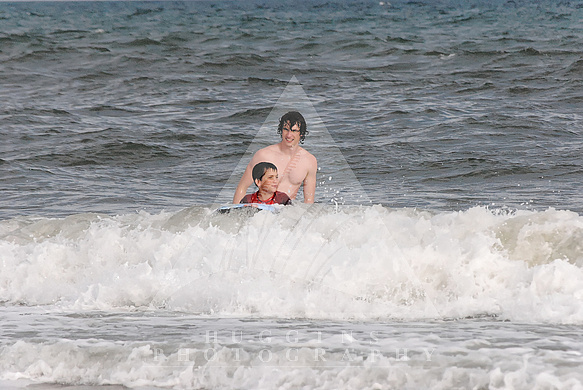 Description: A big brother instructs little brother on to ride a wave. Headline: Big brother instructs sibling on surfing.